"To make the most beautiful quilts in the world, to marry a cowboy and to look down on the top of a cloud." These were the dreams of Grace Snyder, as told by her biographer, her daughter, Nellie Snyder Yost, in their book No Time on My Hands, published in 1963. 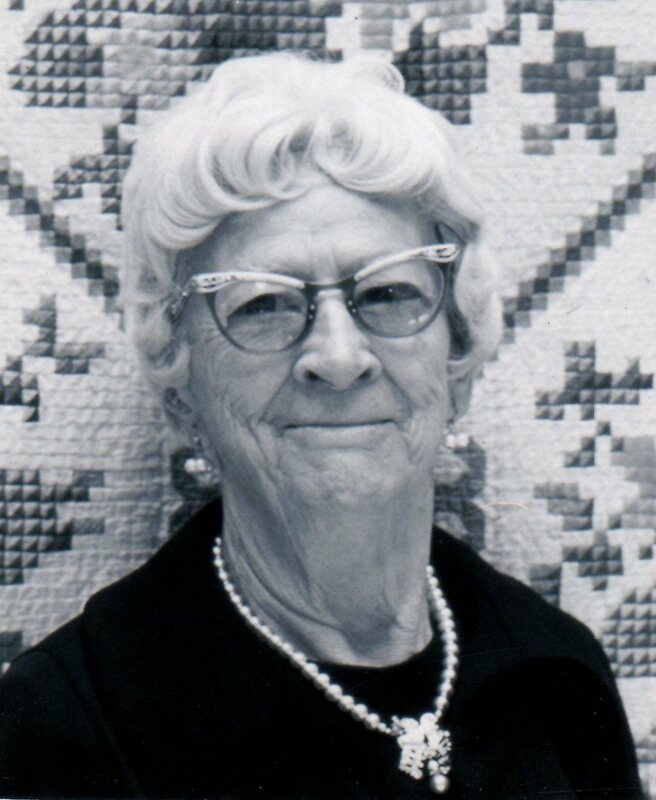 All three dreams were fulfilled: She married Bert Snyder, a rancher, in 1903, she flew in an airplane to New York City in 1950 and she made many award winning quilts. Her first quilt, a four-patch was made in the great out-of-doors of Nebraska while she was herding family cattle. Her mother was a quilter and even though Grace was a bit of a tomboy, her mother encouraged her to value the best quilt practices possible. Other quilts were made while she was teaching school prior to her marriage. Those made after her marriage might have been made in a car, while following her husband as he worked on their ranch. Grace became interested in making quilts with thousands of tiny pieces when she saw a photo of Albert small's Mosaic hexagon quilt, with each piece the size of a dime. Grace's own version, Flower Basket Petit Point, made about 1941, won many prizes and was included in the list of America's 100 Best Quilts of the 20th Century. Grace used as inspiration Salem China Company dishes and translated a petit pint flower basket from a plate into one-inch blocks made up of four to eight pieces. She spent sixteen months designing, cutting and piecing the quilt, which contains more than 85,000 tiny pieces. Flower Basket Petit Point, Bird of Paradise and Tiger Lily were all published in the Kansas City Star. "I wished that I might grow up to make the most beautiful quilts in the world, to marry a cowboy, and to look down on the top of a cloud."